Hi Melynda! You'll be happy to find out that Disney's Yacht Club Resort is conveniently located near Disney's BoardWalk, the entertainment, dining, and shopping complex that hugs Crescent Lake connecting the various Epcot resorts hotels. You can certainly take a leisurely stroll from Disney's Yacht Club Resort through the BoardWalk Area to reach any of the other resorts. The distance between Disney's Yacht Club Resort, and the complex comprised of Disney's BoardWalk Inn, and Disney's BoardWalk Villas, is less than a mile. I invite you to view this satellite map by Robo HERE. Disney's Yacht Club Resort is the complex between the Walt Disney World Dolphin Resort and Disney's Beach Club Resort, the latter being the resort closest to Epcot's International Gateway. Depending on your pace and how often you stop along the way, the commute between Disney's BoardWalk Inn & Villas and Disney's Yacht Club Resort is a manageable fifteen to twenty five minutes walk. 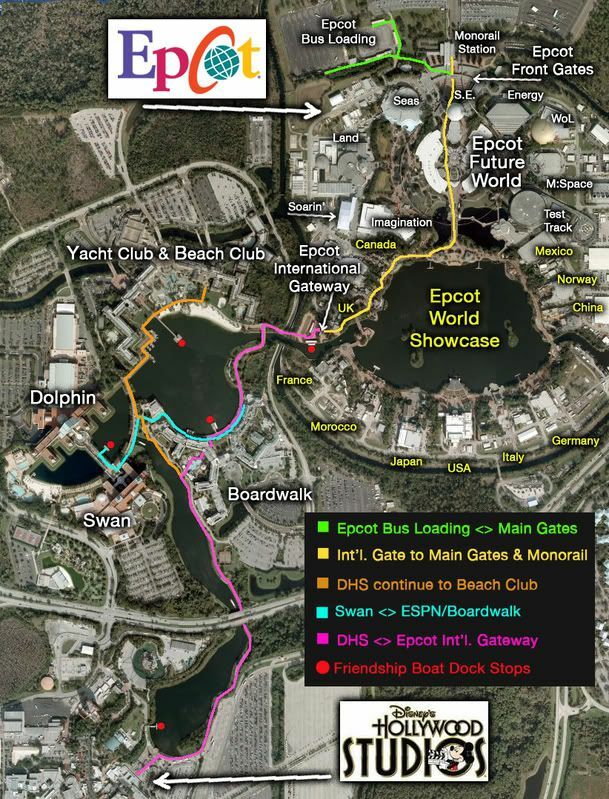 The same could be said of the walking distance between any of these resorts and Epcot, or Disney's Hollywood Studios. Please let me know if I can answer any other questions for you. Enjoy a most memorable visit to the Walt Disney World Resort!